When Amelia’s science teacher Mr. Engels announces that the 7th graders are all going to compete in the science fair, Amelia is counting on working with her best friend Cary. Unfortunately, Mr. Engels has assigned groups and Amelia gets stuck with Leon, the kid that always sleeps through class, and Sadie, the really annoying talkative girl who thinks that suddenly she and Amelia are best friends. Things are off to a rocky start—Leon sleeps through every project brainstorming session and Sadie is so desperate to become Amelia’s friend that she follows her everywhere and even snoops in Amelia’s notebook. 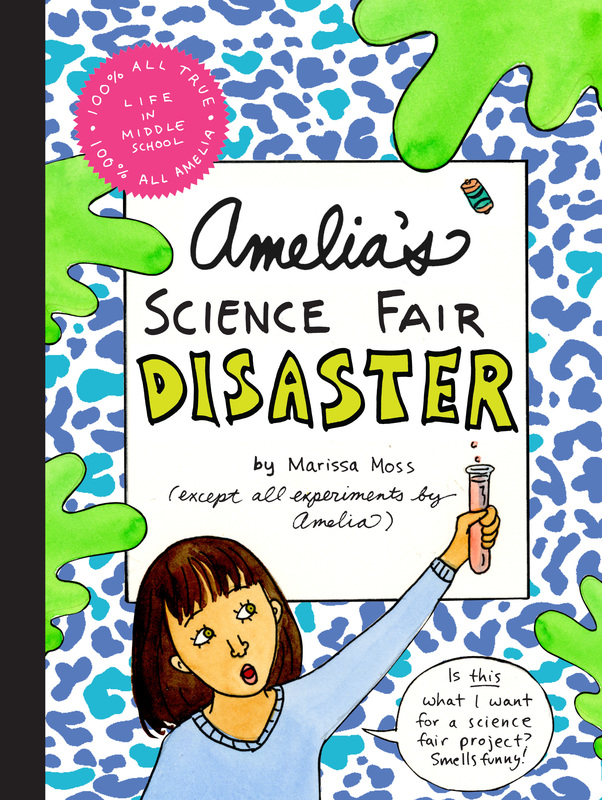 Can Amelia survive the science fair without ruining her grade and losing her mind?